UCM Services Orange County focuses our cleaning services on the areas that hard to reach, difficult to clean or just plain time consuming and exhausting. Tile and grout cleaning falls in the physically exhausting and time consuming category because this particular job requires getting in and scrubbing the many grout lines surrounding your tile in addition to the actual tile. Have You Neglected Your Tile And Grout? It is easy to disregard tile and grout cleaning, but if you were aware of the millions of tiny bacterial particles growing in and around your tile blocks, you might think differently. Tiles are usually placed in areas that are naturally moist, like bathrooms, kitchens, laundry rooms, etc. As you may or not know, moisture attracts not only bacteria, it encourages bacterial and fungal growth. You might not actually see this growth with your eyes, but if you have noticed that your grout lines have become increasingly darker in color, there's your sign. 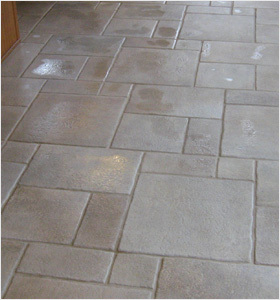 Removes loose dirt on tile and in grout by using vacuuming methods. Employs the finest pH neutral cleansing materials-specially formulated for thorough cleansing of ceramic tiles and grout lines. Repeats thorough rinsing of surfaces in order to ensure that no cleaning materials remain. 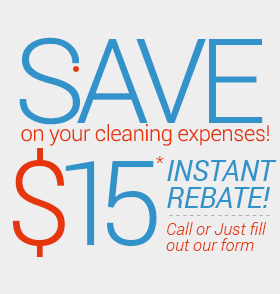 Cleaning services often use harsh cleaning chemicals to guarantee the full removal of bacteria. We know that your tile and grout is often in sensitive places, like your children's bathrooms, and therefore insist on negating the possibility that chemicals will come into physical contact with you or with anyone in your home. We achieve this by sticking to green friendly cleaning solutions that are gentle yet no less effective. Don't wait until your grout lines turn black, call UCM Services Orange County today!